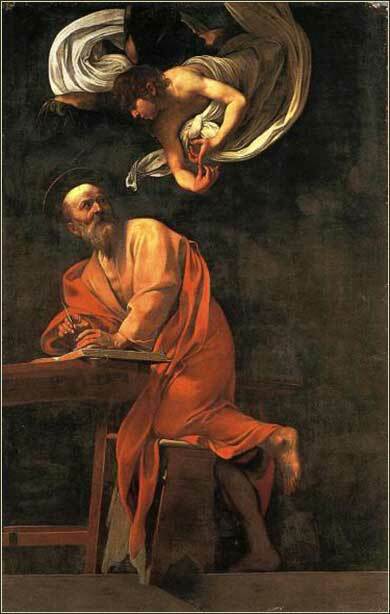 The Inspiration of St. Matthew by Caravaggio, ca. 1602. Matthew has 1,068 verses, of which 606, or well over half, are reproduced from Mark. But all of these verses are third-person accounts of the life of Jesus. What Matthew most notably adds is actual quotations, words directly from the mouth of Christ; and this makes Matthew's Gospel, in many ways, pre-eminent. If you had to go forth to teach Christianity and could take with you only one book from the Bible, you would do well to pick Matthew. Matthew did not “write” the gospel. He might have written parts of it, and he actually might have written none of it. But what he did do is write down things he heard other people (primarily Jesus) say. We are indebted, in our constant battle against skeptics, to an early historian called “Papias”, who tossed off one line of tremendous significance: “Matthew collected the sayings of Jesus in the Hebrew tongue.” Thus, Mark is primarily responsible for transmitting the events of Jesus' life to us, but Matthew is primarily responsible for transmitting Jesus' teachings to us. In fact, most scholars believe that Matthew wrote the original version of his gospel in Hebrew and/or Aramaic, although only the Greek translation remains to us. This testifies to his transcribing Jesus' speech contemporaneously, because his gospel is the only book in the New Testament not written originally in Greek. Who was this man? We know little about him, other than he was an odd bird among the apostles. For he was a tax collector for the Romans, a publican, despised by his fellow Jews — quite different from the humble and honest fishermen and laborers that made up most of the Jesus movement. Yet, he had an advantage; for as a tax collector, he had to be adept at reading and writing. The apostles left everything behind and followed Jesus; but Matthew brought along his pen. Matthew's writings were certainly collated, edited, and fleshed out from other sources after Matthew's death. It is misleading, however, to say (as some people do) that Matthew did not “write” the gospel that bears his name; because, as we have seen, what he wrote down is the most important part of his gospel — and arguably, the entire Bible. In addition, there are matters other than the quotes of Christ that set Matthew apart from the other gospels, matters that give the Gospel of Matthew its own character. We simply have no way of knowing how much of this is Matthew's work and how much comes from a later, anonymous editor. But it makes little difference, other than human interest, for Matthew's Gospel says what it says, and is what it is. Whoever set the words to paper was acting as God's vehicle to transmit knowledge of His Word. First off, Matthew is written for Jews. This may be true of all the Gospels, but none so much as Matthew. The great theme of Matthew is Christ's role as the fulfillment of Judaic prophesy. And he isn't subtle about it. 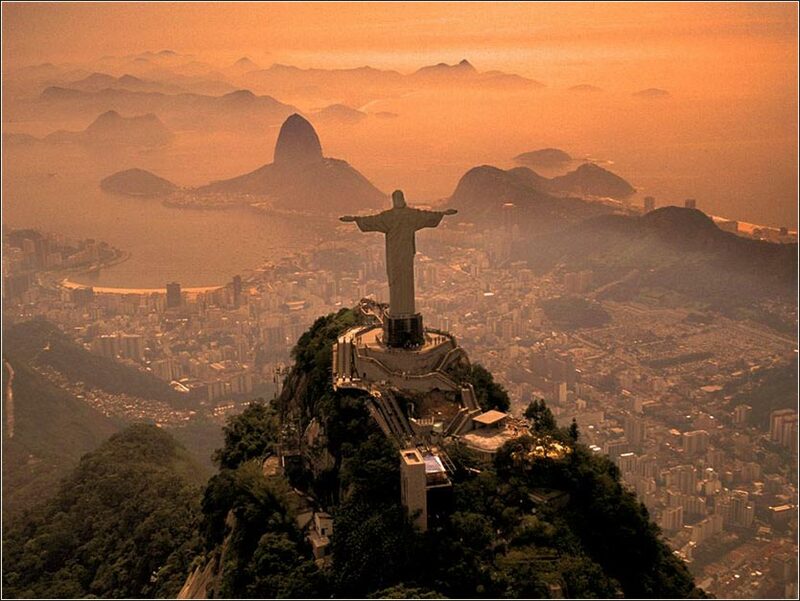 Time after time in Matthew, we will read “this was done to fulfill what the Lord spake through the prophet . . . ,” or something to that effect. Another aspect of Jewishness is the importance of the Mosaic Law to Matthew. Of the four gospels, Matthew is both the most insistent that followers of Christ must continue to follow the law, and at the same time, the most harshly critical of the Jewish authorities and empty legalisms of the day. Matthew 23 is practically a diatribe against the Pharisees and Sadducees. Third, of all the gospels, Matthew is the most concerned with the second coming, the return of Christ to judge the earth; it is the most “apocalyptic” of the gospels. The only account of several apocalyptic parables, such as the “wise and foolish virgins” and the “sheep and goats”, occurs in Matthew 25. Matthew immerses the reader in Christ's later days, and we strongly sense Matthew's presence with Him. Finally, the overarching theme of Matthew is Jesus as King. Matthew's intention is to show the royalty of Christ. We all learned in school to start our essays with a topic sentence, and Matthew apparently took the class, for we will see this theme introduced right off the bat — in Matthew 1:1.